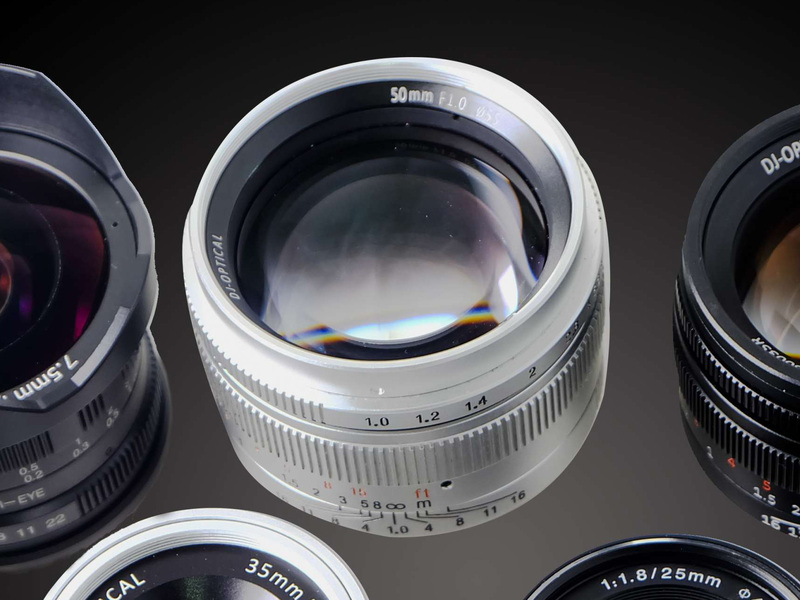 Look closely on the 7Artisans website, and you’ll see an as-yet unannounced 50mm F1.0 lens front and center. Chinese lens manufacturer 7Artisans made some waves two weeks ago when they quietly revealed four affordable and fast lenses for various mirrorless mounts. Those lenses are available on Amazon and eBay, but one lens is being shown off on the 7Artisans website that doesn’t appear anywhere else online: a super-fast 50mm F1.0. Unfortunately, all we have is this photograph. The lens looks a lot like the company’s 50mm F1.1, but you can see that lens next to the F1.0 in the lineup, so it’s not some CGI typo. The lens diameter is even different—55mm vs 52mm for the F1.1. Admittedly, the 50mm F1.1 lens announced a few weeks back is only available in Leica M mount. People would no doubt be thrilled by an equally affordable ($370 USD) lens available for the Sony E, Fuji X, or MFT mounts. As soon as this lens becomes official or pops up on Amazon alongside the other 7Artisan lenses, we’ll let you know. 7Artisans teases 50mm F1.0 lens, in case the 50mm F1.1 isn't quite fast enough posted on DP Review on July 17, 2017 5:44 pm .